Experience the quality & pride of Viking Revolution. Our all-natural organic beard oil is made for all types of beards – long, short, red, white, black, and brown. Whether you’re a man of the town or like to rip through the wind on your motorcycle, our beard oil will protect & condition the part of you that speak volumes! Our beards are a symbol of strength. So naturally, we need to take care of them and make them shine. Be ready to look sleek and stylish! Get smooth, frizz-free & easy to manage beard. With just a few drops, moisturize your beard & the skin underneath. 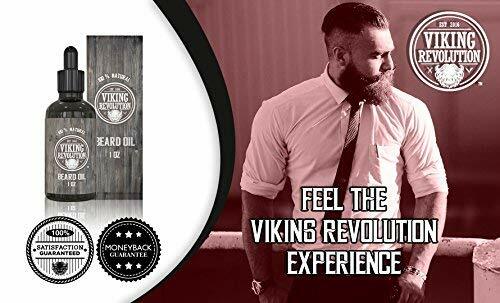 Get ready for the Viking Revolution experience & add your Beard Oil to the cart today!GET READY FOR ALL THE COMPLIMENTS – Even the burliest of beards can be tamed with our high quality organic beard oil conditioner. Restore softness and shine to your beard. 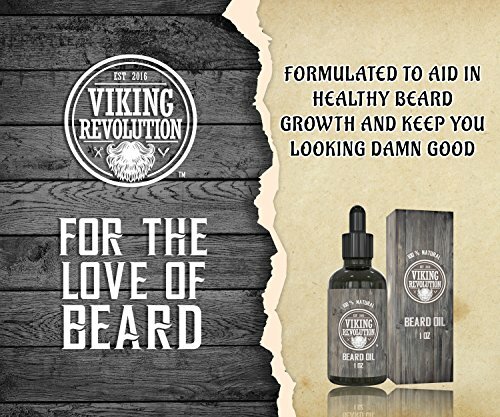 In order to have a great looking beard, you need the right products! 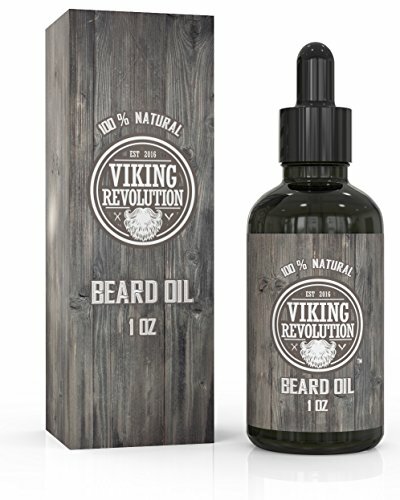 Our Unscented Beard Oil will give you the confidence to conquer the world, like a Viking! SAY GOODBYE TO AN ITCHY, SCRATCHY BEARD – Get rid of the dreaded beardruff! Just place a few drops of beard oil in the palm of your hand and massage into your skin at the roots of your beard. One application lasts all day and your beard will feel excellent as well as look great! 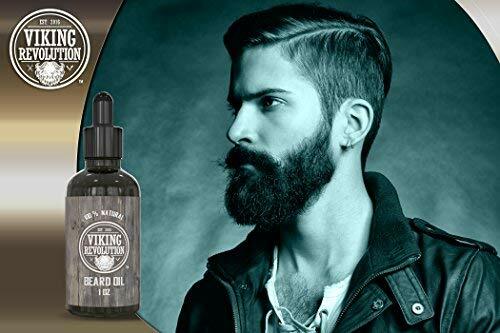 100% NATURAL & ORGANIC – We’ve put together the perfect blend of Organic Argan Oil and Organic Jojoba Oil to give you the badass beard you deserve. 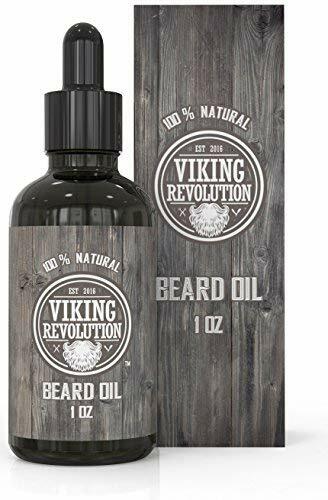 MONEY BACK GUARANTEE – As with all of our products, we are so confident that you will love this Beard Oil, if for any reason you are not completely satisfied, we will refund your money!